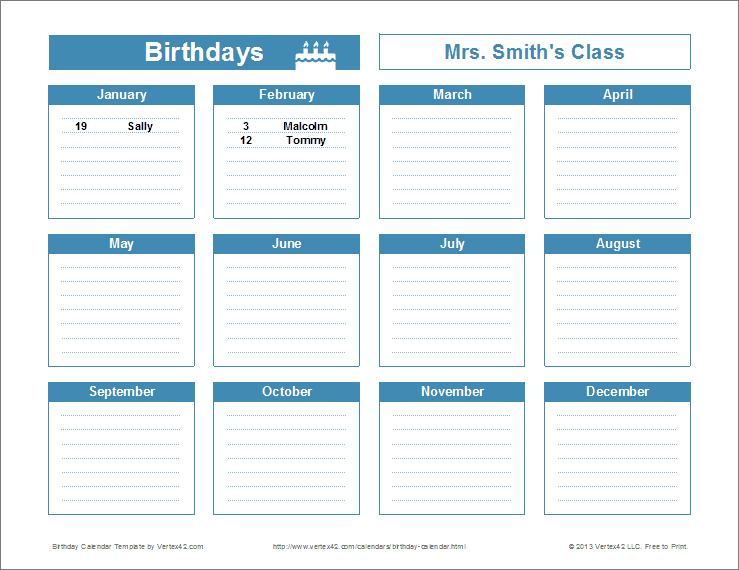 This printable birthday reminder calendar is a simple design that lets you list birthdays grouped by month. 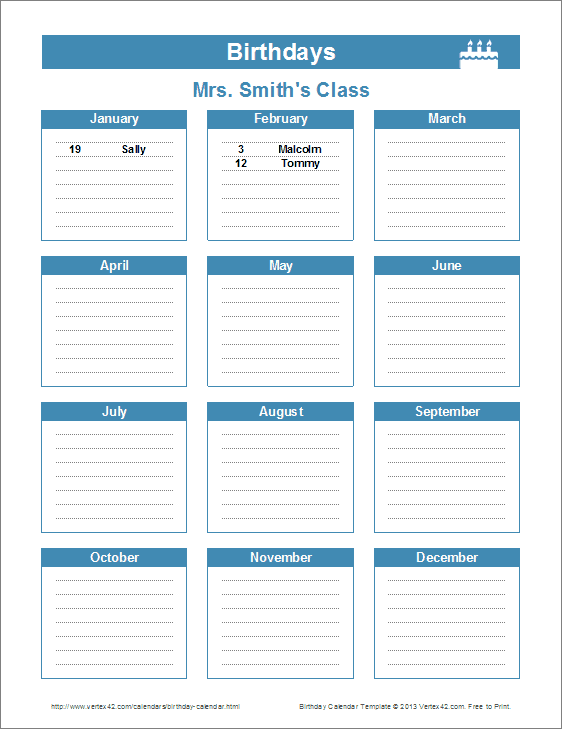 It looks similar to a yearly calendar, but the year doesn't change, so you only need to print it once (unless you want to add more birthdays later). 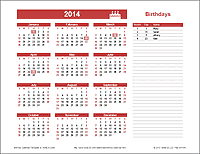 The spreadsheet includes both the landscape and portrait versions shown in the images below.